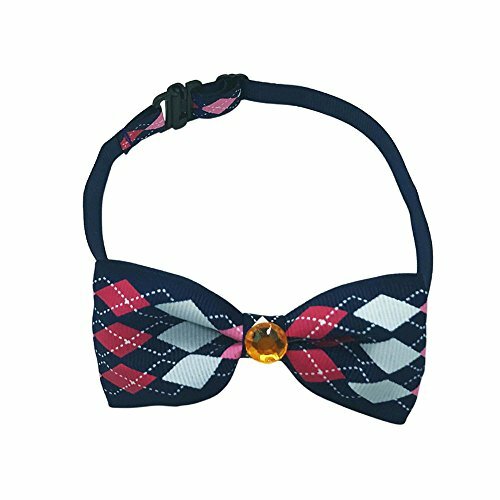 ✿ Adjustable bow tie for cats and small or medium sized dogs. ✿ Size: Pet bow: 3.8*9cm, Collar:1*20/35cm. ✿ Fashionable, stylish and adjustable. Easy to wear and remove. ✿ Suitable for outdoor walking/competition/Halloween and Christmas party. ✿ Package includes: 1 x adjustable pet bowtie.